The chief drivers of investor sentiment -- a China trade war, tariffs and interest rates -- aren't likely to change no matter what happens at the ballot box, most Wall Street analysts said. U.S. equity markets that have been mainly flat since January probably won't react strongly one way or the other as a result of the U.S. midterm elections tomorrow because the chief drivers of investor sentiment -- negative prospects of an ongoing trade war with the China and the effects of tariffs on U.S. corporate profits along with concern about the pace of benchmark interest rate increases -- aren't likely to change no matter what happens at the ballot box, most Wall Street analysts said. For voters, the main issues are healthcare, immigration, and trade policy. Going into the vote, polls and betting markets are showing that the Democrats are likely to take control of the House of Representatives while Republicans will retain their majority in the Senate. While such an outcome would likely generate political headaches for President Donald Trump amid speculation that Democrats would accelerate probes into issues including whether the Trump campaign colluded with Russia in the 2016 election or whether the President is using his office to enrich himself, Republicans' Senate control should insulate him from the worst possible outcome, which would be impeachment, conviction and removal from office. The risks of greater partisanship "could have serious market and economic consequences, such as potentially more frequent government shutdowns, impeachment considerations and general uncertainty," said Societe Generale analysts including Global research head Brigitte Hiddon. Societe Genrale said it would expect more volatility if the Republicans lose either the House or the Senate. "The political and economic agenda has driven the financial markets for the past two years -- so political gridlock and uncertainty will not come without pain." Investors will be watching "whether to expect further fiscal stimulus, and what the implications are for trade policy," said Deutsche Bank strategists Quinn Brody and Torsten Slok, in a note. "On the former, unified Republican control is likely more bullish, while on the latter, divided government could de-escalate the current trade conflict. Either way, our fundamental views (bullish equities and bearish rates) are unlikely to change." 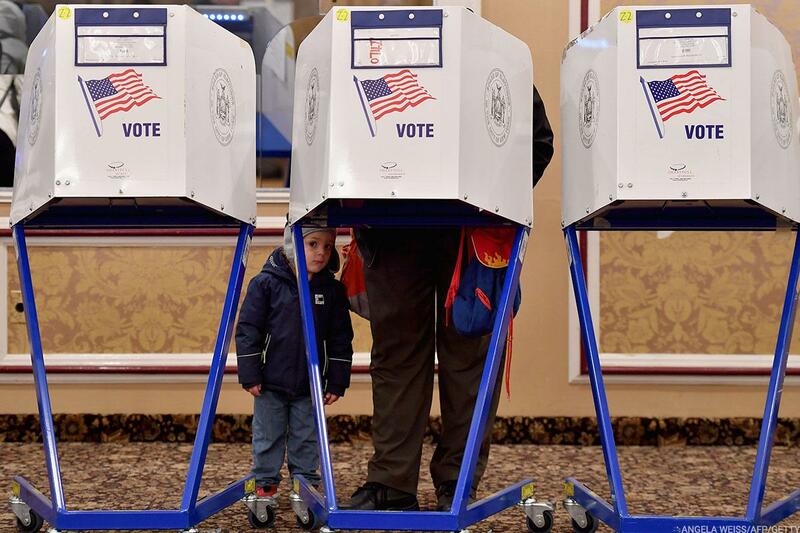 A voter takes a small child to the polls Tuesday as Americans across the country choose House members, senators, governors and more. Whatever happens, the election is not likely to resolve the widening conflicts between supporters of President Trump and his opponents. The President campaigned strongly for Republicans without emphasizing the strengths of the U.S. economy, now expanding for the 10th straight year. Last week the government reported that employers added 250,000 jobs in October and that the unemployment rate remained 3.7 percent, the lowest level in nearly 50 years. Pay also rose at a healthy pace amid rising consumer confidence. "Unemployment at 3.7%. Wages UP!" Trump tweeted on Friday. "These are incredible numbers. Keep it going, Vote Republican!" Yet one key consideration regarding sustained growth is the rate-rising inclinations of the Federal Reserve, which is expected to raise rates for the fourth time this year in December and may raise three or four more times in 2019. Trump has been critical of Fed chief Jay Powell, whom he regards as insufficiently attuned to the fortunes of the stock market. That's a view that's shared by Jim Cramer, founder of TheStreet. "My main fear is that we could have a mini version of 2008 if the Fed doesn't change course," Cramer said on CNBC last month. "If Fed chief Jerome Powell actually starts listening to the stock market and wakes up to the damage that [Trump's] tariffs can do to the economy, then maybe he'll shift gears, just like [then-Fed Chairman Alan Greenspan] did in '98." 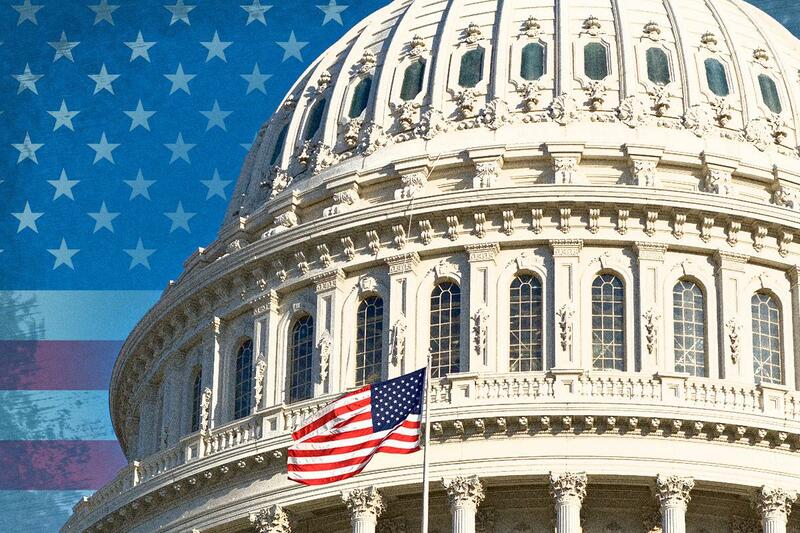 All U.S. House seats and a third of Senate seats are up for grabs. In the meantime, Trump's tariffs and threats to increase them promise to upend U.S.-China relations for years, not just for one or two congressional cycles, said Jack Ma, the billionaire founder of Alibaba. "Trade war is the most stupid thing in this world," Ma said at the China International Import Expo in Shanghai, according to Bloomberg. Ma said last month that a trade war could last two decades as the U.S. and China remain far apart on everything from market access to government support for state-run enterprises.